Dr. Beaman received his Bachelor’s and Master’s degrees in Mechanical Engineering from the University in Texas in 1972 and received his Sc.D. from the Massachusetts Institute of Technology in the area of nonlinear control in the Mechanical Engineering Department. Dr. Beaman has been a faculty member at University of Texas since 1979. Dr. Beaman’s work has been primarily in the field of manufacturing and control, focusing on Solid Freeform Fabrication, which is his term for 3D printing. His work, along with Dr. Carl Deckard, called Selective Laser Sintering (SLS) was patented at the University of Texas and the patent is a significant source of royalties for the university. 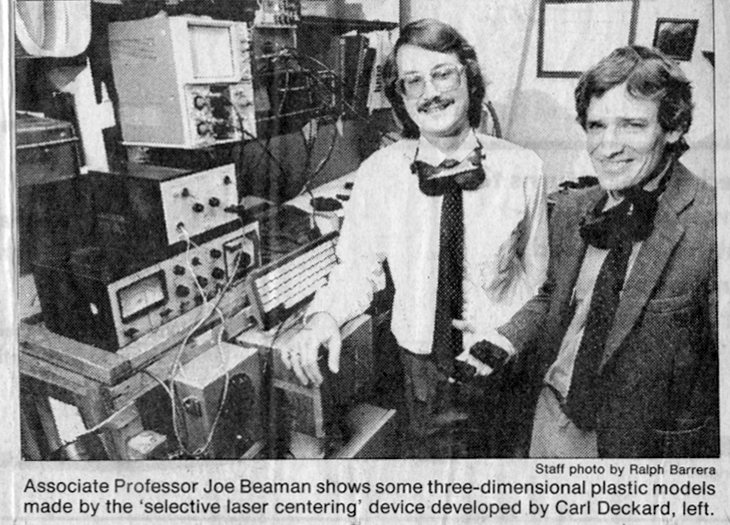 Dr. Beaman’s work has significantly improved the technology for 3D printing. He has received several awards for his work, including the National Science Foundation Presidential Investigator Award in 1984, he was named the Distinguished Mechanical Engineer by the Mechanical Engineering Distinguished Alumni Organization at the University of Texas, and received the Best Paper Award for the Journal of Rapid Prototyping in 1996.